A pulsating ode to the woman who brought him into the world, Melas' first album doesn't only function as an existential mirror, as you'll find him swimming upstream literally - wisely colliding techno, electro, breakbeat and acid while he reaches for the very heart of his artistic matrix: Detroit. 'Mother' is a journey back into the womb of things for Melas, seamlessly weaving the original chaos preceding composition with the impact the finished product will have at the tail gate, when the sound-system gets all wiggly blasting his finely honed, dancefloor-deadly missiles into the busy ears of some frantic crowd pouring sweat like weightwatchers' aficionadas at a robot-ruled fitness class. 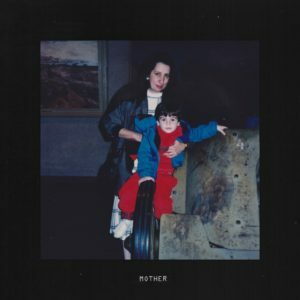 Not just a string of club bangers accidentally brought together by a stranger's hungry will to draw out the pleasure, 'Mother' aims at telling a story within its breaks and rest moments as much as it clearly devotes itself to making people get into the zone on a liminal level with its heavy compound of aggro 303 drives, convulsive breaks and bleepy motifs. Triggering the wild dancing beast sleeping deep inside yourself as much as its emotive subconscious, Jensen Interceptor's debut plain format offering will undoubtedly set off heavy adrenaline rushes and unsuspected body response, as well as deliver quite a few emotional sequences that all very much feel like opening a capsule of earthly souvenirs after landing on a distant planet.